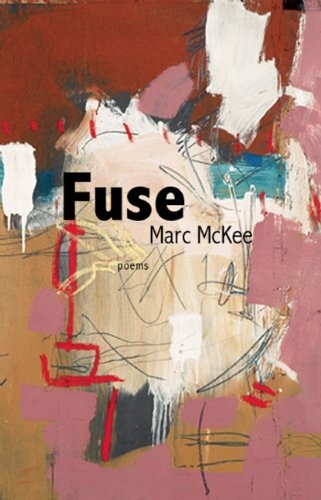 Always explosive and lit,Fuseburns with the fury of a many-minded intelligence and an ever-expanding heart.—Dean YoungIn his best poems Marc McKee achieves the impossible: his verse is quicker than life. There's a wonderful gallop in these lines. The jetliner of poetry triumphs over local trains of everyday existence.—Adam ZagajewskiHow does one make the ineluctable and changing connections between changing objects and changing people? How does one balance aggressive history with the demanding influx of personal experience?Fuseis an attempt to substitute poems for answers to such questions. Marc McKee: Marc McKee received his MFA from the University of Houston, and is a PhD candidate at the University of Missouri in Columbia, where he lives with his wife, Camellia Cosgray. His poems have appeared in such journals as Boston Review, Conduit, Crazyhorse, DIAGRAM, Indiana Review, The Journal, LIT, Pleiades, Salt Hill, and Third Coast, among others. His collection What Apocalypse? won the 2008 New Michigan Press/DIAGRAM chapbook prize. Fuse is his first full-length collection.